I spent the last 5years in the university wearing white shirt on black skirts every 5days in a week. It was annoying and frustrating cos as a result most of the contents of my wardrobe were in black or white. I usually hate being told what to wear n how to wear it so I found ways to default without being noticed. Twas kinda fun finding ways to bend the rules n all that but it got tiring at a point. I was sooo glad to take a break from all that uniform thingy at least till Law school later this year (would have to step up game). 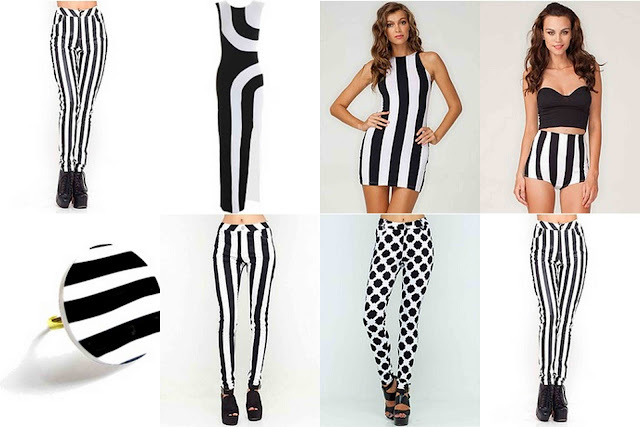 Anywhoo, black n white is a fashion trend that actually never goes out of style. It keeps getting reborn n comes out better every time. Its one of the biggest fashion trend this year and can be seen on most runways, celebrities and red carpet events. Monochrome might sound basic, but it’s a classic palette that never grows old fashion. 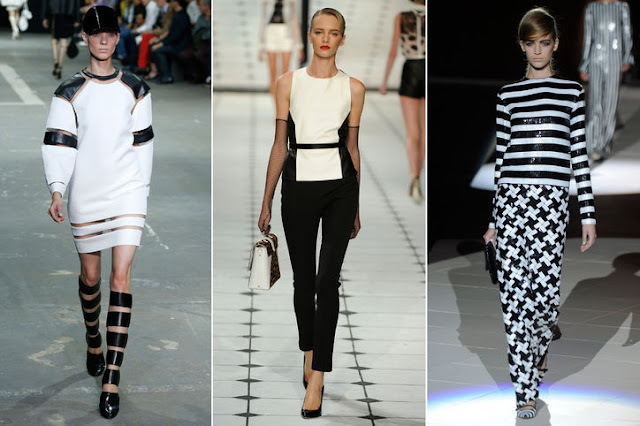 Black and white monochrome looks are one of the few real trends in women and men’s fashion. Monochrome is one of the simplest, most chic of looks to work whatever the year. Monochrome never fails to gain attention when done well. Monochrome is easy for creating a fairly effortless travel wardrobe, and it can be given the lift of the moment with a bright accessory taken straight from the latest colour trend chart. Think neutral. Think black with white. 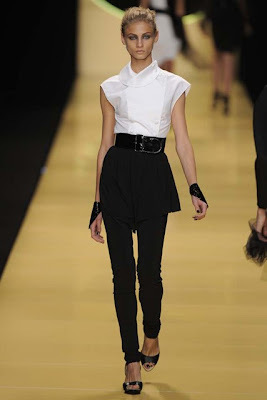 Think of alternating all black or all white garments with the opposite contrasting accessories. Accessories can be the key to getting this look so easily. This fashion look is always smart, crisp and frequently fun as designers come up with new ways of reworking the yin and yang of black and white. This dark against light, black with white monochrome fashion look is classic, and the perfect choice right now for anyone with a financially critical wardrobe budget. Monochrome is capsule dressing and will stretch that tight budget. 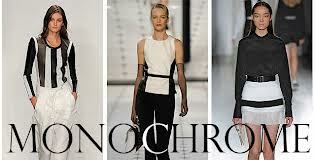 Long after coloured garments have faded you will still be able to wear monochrome classics that stand the test of time. You may still think that simply wearing black and white together is the recipe for a boring and dark look for next season, thanks to the runway, there are always new and inspired ways to freshen up the look. With its bold statement and ability to turn heads, there are very few other styles that will make as much of an impact as monochrome. This is one of my favorite trends. I just love the classic look. Excellent post. Love the way you showed how to style this trend. Was tired of it but cnt wait to rock it again. cool.......just did an outfit post on black and white. I'm yet to try monochrome. following you now, follow back. thanks. now following u bk. My friends kinda make fun of me for the lack of color in my wardrobe. I love these two colors together too much. Even as I type this I am wearing a black and white striped shirt with black skinnys LOL. I am following, love your vibe! Why on earth would u put yourself thru that uni? White n black is usually the uniform required for law students in most universities in Nigeria. Trend as old as man! Nice job on here. And the follow up is been done! Xoxo..
Twas my pleasure doll! :D thanks for dropping by. Yay!! Just bought a white shirt with black dots at h&m and i love it!! I can imagine. I hate uniforms! Okie dear. Would check out ur blog.